← My New Kitchen Aid!! My opinion of these? 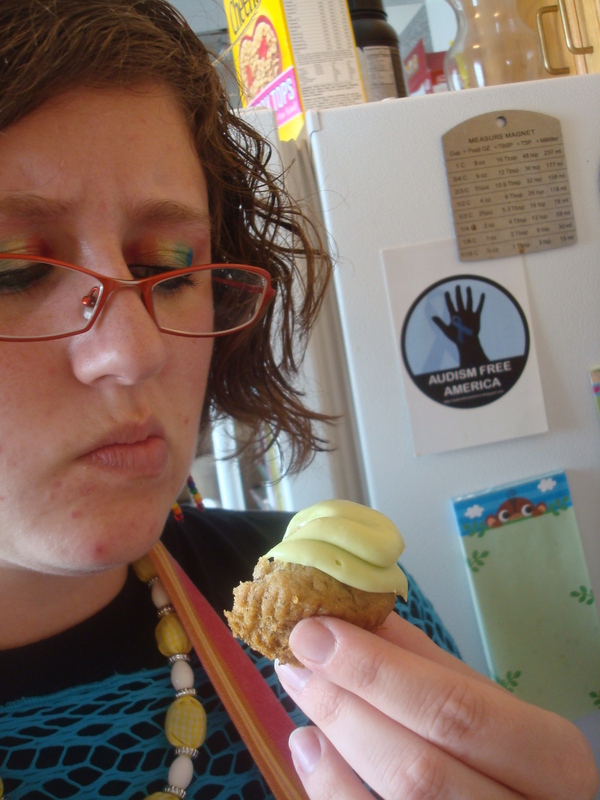 I LOVED the cupcake part, but didn’t love the icing…but that’s probably because I don’t like avocados. It wasn’t horrible, and it wasn’t for me. Thanks to everyone who was a taste tester for this experiment! My roommate Carolyn‘s opinion of these? She didn’t like ’em…she liked the cupcake, and she liked the icing, but she didn’t like them together. Weird. Two random guys‘ opinions of them? Very good! My ASL Club Officer’s and advisor’s opinions (Thanks Seth, Melissa, Diana, Trish, and Brandon)? Very good! Brandon said you can’t really taste the avocado…it’s very sweet. So there you have it! 8.5 out of 10 testers loved them! 85% success rate? I say you HAVE to make them now. Are you ready to try ’em? 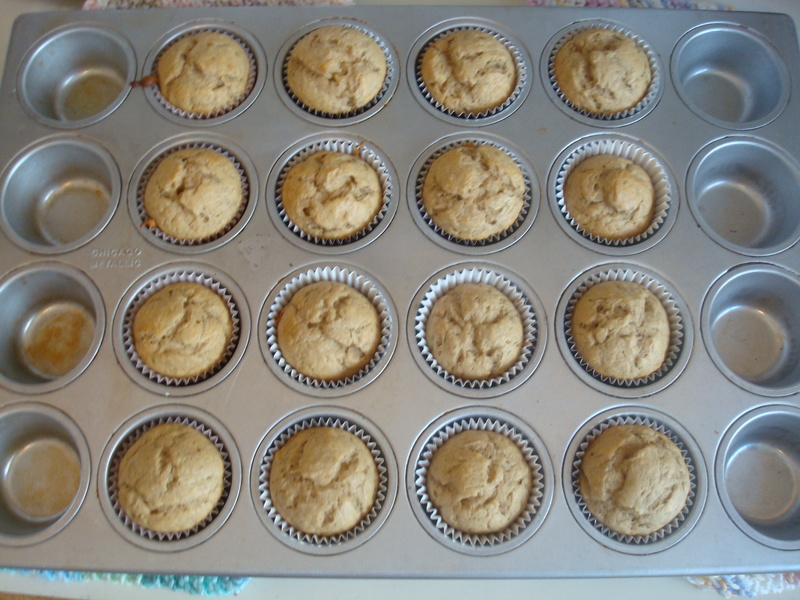 I recommend refrigerating the cupcakes! 12. Mix until the batter comes together. The batter will be thick. Baking is so much faster when you have a Kitchen Aid!! Now it’s time for the icing! 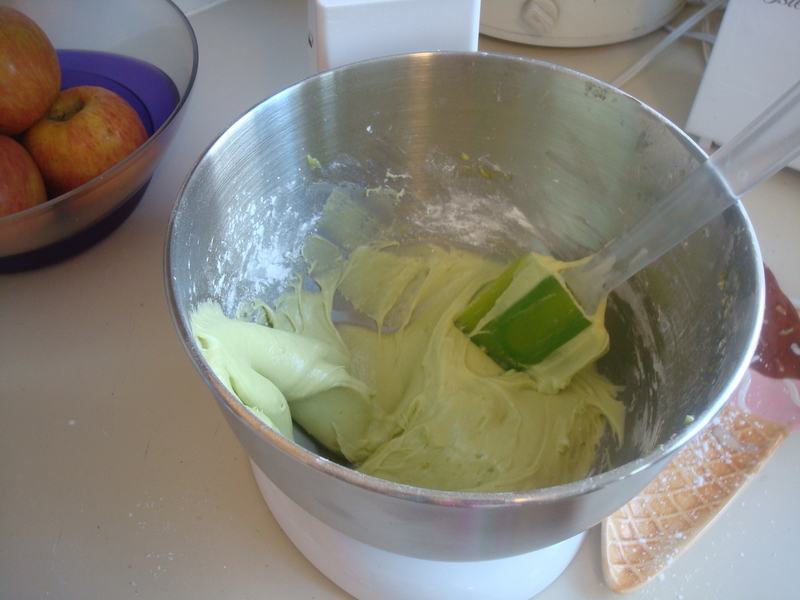 The icing is such a beautiful green color! 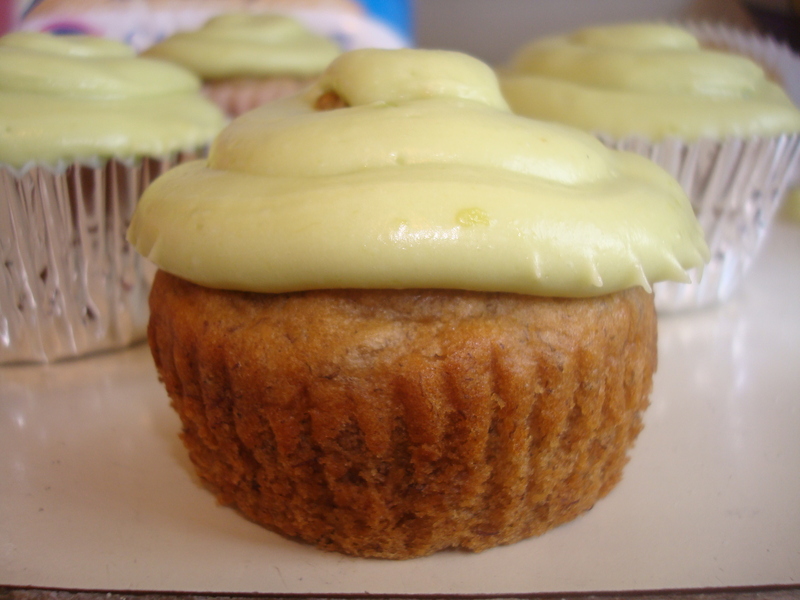 Frosting can be stored in the fridge for up to 3 days. I recommend refrigerating the cupcakes. And I also recommend sharing them with your friends, and letting me know how yours turned out! 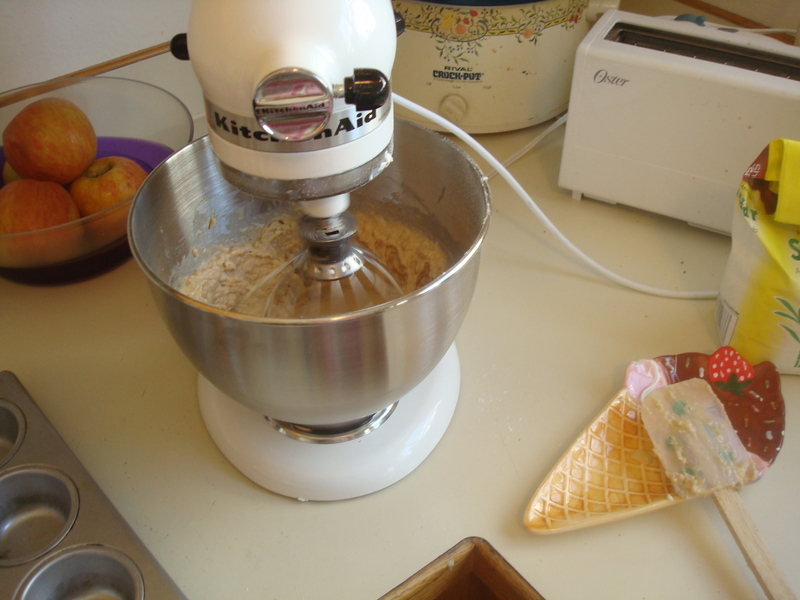 And let me just reiterate…I love my Kitchen Aid! 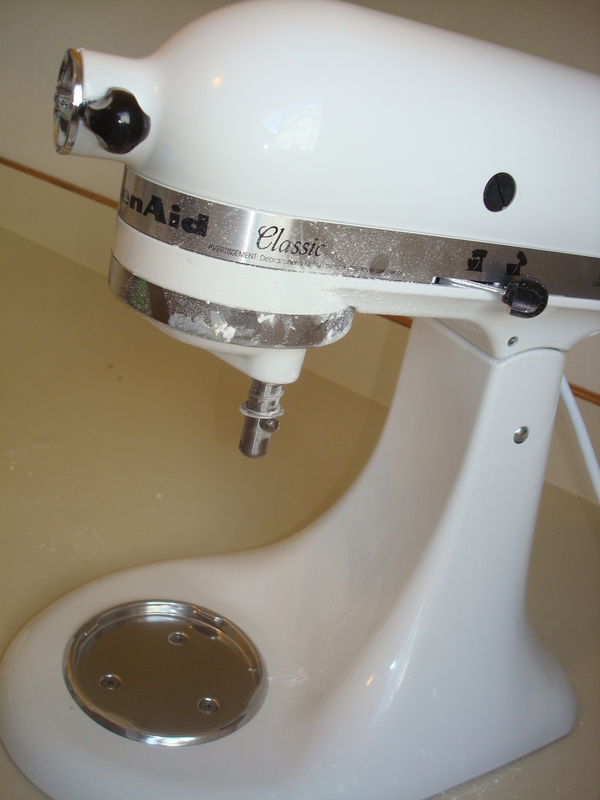 It makes baking so much easier and faster! And considering that I bake cupcakes at least every other week, it’ll definitely be loved forever!